Established in 1991, Action Lock Service has served the locksmithing needs of Perth’s commercial and residential communities with distinction for over 25 years. 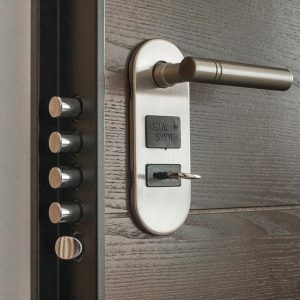 As an established locksmith service provider based in Balcatta and providing reliable locksmith services to home and business customers across the metropolitan area, including Tuart Hill and the northern suburbs, we provide a complete range of commercial, residential and automotive locksmith services that you can rely on 24/7. With four mobile and full-equipped workshops, a team of qualified and experienced locksmiths and the desire to be the leading name in locksmithing services across Perth and surrounding areas, we’re the team to call for all your home, business, vehicle and emergency locksmith requirements. Commercial locksmith services, including rekeying and installing locks, cutting keys, etc. And they’re just a few of the many locksmith services we provide to local businesses. Whatever your commercial locksmith needs, we have you covered with a complete range reliable locksmithing services at honest rates that represent outstanding value-for-money. Additionally, we also supply and install locks that comply with swimming pool fence regulations, we can cut new keys on-site and we’re always happy to advise you on your home security requirements. Whenever you require an emergency locksmith in Tuart Hill, whether that’s for your home, place of business, car or motorbike, don’t hesitate to call Action Lock Service on 08 9240 7200.